The Spanish Women’s Race circuit is the largest women’s sporting event in Europe. In 2018, more than 127,000 runners have participated in any of the eight events (Valencia, Madrid, Vitoria-Gasteiz, Gijón, A Coruña, Seville, Zaragoza and Barcelona). 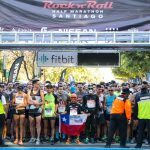 The most numerous of these races was the one in Madrid (35,000 runners), followed by the one in Barcelona, which managed to gather 34,000 women last November 11 to run in the last race of the circuit this year. 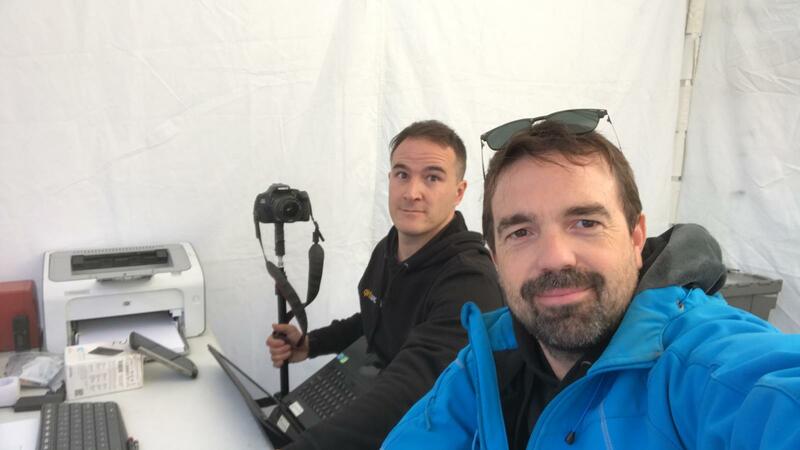 The timing of the race has been, one more year, in the hands of the of Cronochip and their timingsense equipment. We review some important points to keep in mind in the timing of races of great participation, in addition to the highlights of the Spanish Women’s Race 2018. The high number of participants requires a significant deployment of timing equipment. In the Women’s Race in Barcelona, a total of 64 metres of antennas were installed at the start and finish line: each timing point had a 16-metre line and a backup of the same length. The backup line guarantees a better reading rate in a race in which the runners are very close together. The start of the race has only one wave. In this race the start and the finish line were set at different locations. The reason? When the first athlete crossed the finish line 29 minutes and 10 seconds after the starting gun, there were still six minutes left for all the participants to pass through the start arch. It is also important to protect timing equipment and cables well to prevent tripping and damage to timing equipment. Cables can be taped to the ground to secure them, while equipment should be as out of the way as possible. The organization must correctly inform that, in order to have a classification, one must pass through the start and finish arches. Even so, there are runners who join the race at other points to avoid the agglomeration of the start. This year has been marked by the record number of runners in some of the eight cities where the event is held. 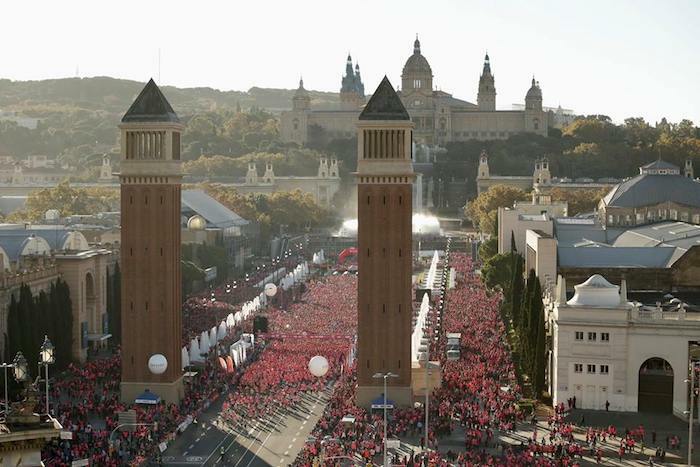 Valencia (16,000 runners), Madrid (35,000), A Coruña (7,500), Zaragoza (11,000) and Barcelona (34,000) can boast of having surpassed the participation of the previous year. Besides, both in A Coruña and Gijón this race has been the most popular race in their respective autonomous region. They have also highlighted the participation and commitment of great figures in women’s sport. 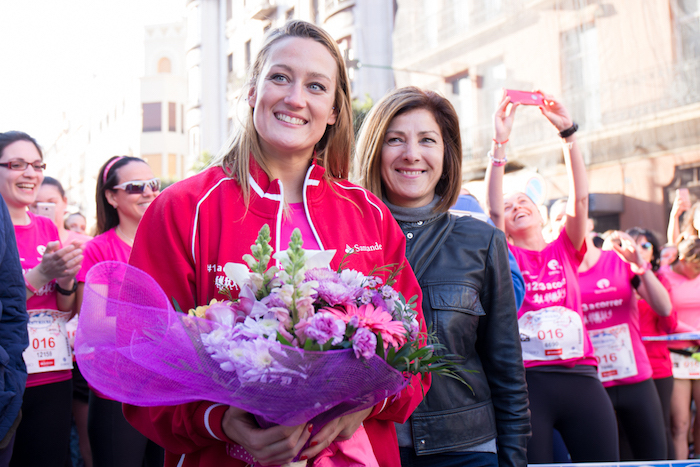 Mireia Belmonte, Olympic in Rio 2016, premiered the circuit in the Women’s Race in Valencia, in which she was among the top 20 classified with a time of 00:33:00. The swimmer repeated in Barcelona along with the Olympic medalist Ona Carbonell, as well as Carmen Valero (first Spanish athlete to participate in the Olympic Games and world champion in cross country) and Araceli Segarra (mountaineer and first Spanish woman to crown Everest). In Madrid, the swimmer Teresa Perales, the most successful Paralympic athlete in the history of Spanish sport, also received a tribute to her spectacular and exemplary sporting career. 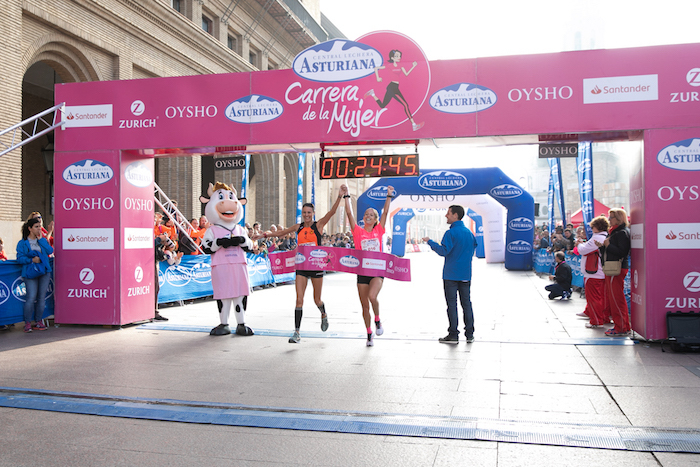 The Zaragoza Women’s Race left an exceptional image: Shirley Kap and the Aragonese María José Pueyo crossed the finish line first together and holding hands. “We’ve done the whole race together, and when we got ahead from the rest of the group we talked and decided to go paired up to the finish line,” said Maria Jose Pueyo.